Tapas. | Eat More Plants. I have to make a bunch of vegetarian and regular tapas for a party tomorrow night. 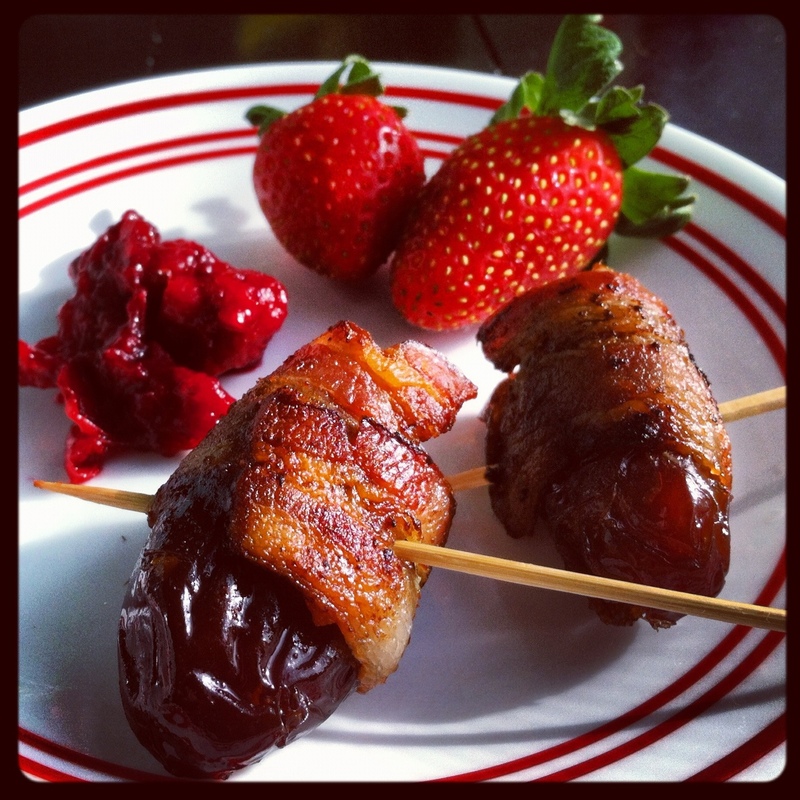 I chose one of my favorite classic Spanish tapas, bacon wrapped dates. Although traditionally I think you’re supposed to stuff them with chorizo as well but I didn’t have any on hand. For the vegetarian I chose roasted butternut squash sandwiches. Which is squash that I chopped and tossed in olive oil, sage, salt & pepper and then roasted at 350 for about 17 minutes or until you can pierce it with a fork. Then use two pieces of squash as “bread” and stuff something yummy in the middle. 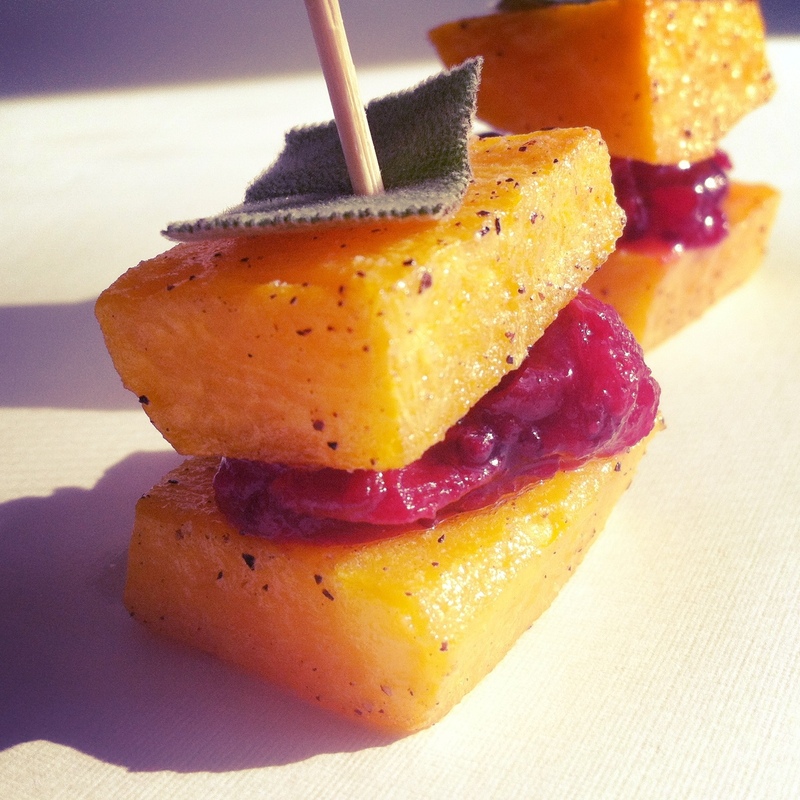 I stuffed them with cranberry chutney and pinned a piece of sage on top. This is one of my favorite things to do, honestly. Create these perfectly balanced little bites. Even though it’s one bite, I still put the same amount of thought and effort into it as I would a three course meal. Every bite counts! Anyway, I’d rather give someone one amazing little mouthful and leave them wanting more than give you a huge plate of mediocre food. Brilliant idea… just might have to steal this one!